"Creative exposure" takes on a whole new meaning with the new Topaz Adjust image manipulation plug-in for Adobe Photoshop. Easily and effectively take full control over image exposure, color, and detail for stunning creative effects and automated exposure correction. 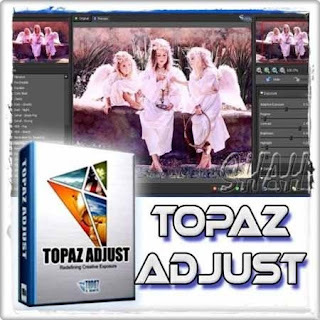 Topaz Adjust uses advanced algorithms to achieve unique exposure effects and adjustments in seconds. It offers the user full control over creative exposure, color, and detail effects, and has the ability to save and reuse presets for maximum convenience. 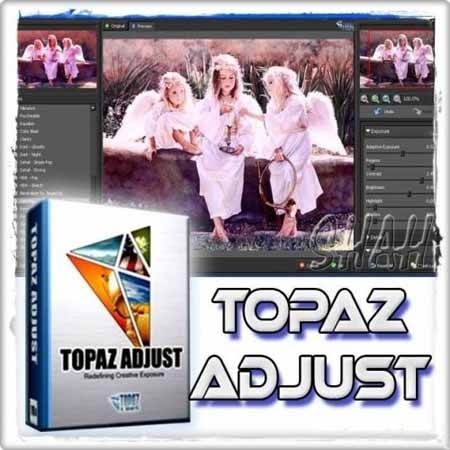 • Topaz Adjust (intro) makes it easy to creatively adjust photo exposure, detail, and color for photo correction and effects. • New user interface. Includes the ability to easily expand and collapse side panels and parameter tabs for an adjustable workspace. • New presets layout. The new preset format features its own preview window. • Quick slider reset allows you to double-click on the slider name to easily reset default slider values. • Larger image abilities. Significant stability increase for processing large images. • Realtime interface and preset thumbnails that offer previews of each presets' effect on the image are displayed in the Preview finder. • Shortcut keys: For example, use the spacebar to switch between the original and the processed images, the + and - keys to zoom in/out of the preview, and the arrow keys to change parameters values. • More features: Improved importing options that allow preset importing directly from the internet and randomizing parameters. Some users have experienced a drastic difference between the colors of the previewed image and the result when using the newer versions of Topaz Adjust and Detail. Other users have experienced crashes when using the new Adjust, Detail, or ReMask. We’ve been hard at work solving these issues, and today the patch is ready for download. This should solve both the color management problem and the crashes. ini versi freeware nya gan? bisa buat photoshop 5 ga yaa ?